Are you ready for some REAL relaxation and some fun while making new friends? Then you've come to the right place! These classes are designed for every level of painting experience, a BYOB "sip n paint" style atmosphere where you are directed every step of the way during this 2 hr fun and playful journey. Unlike other "paint n sip" style classes, ours offers the use of upcycled items such as pallet boards and slate in place of the common canvas! Pretty nifty huh? Other style classes such as wineglass painting and crafting are also offered so there is always something fresh and new! Interested in private classes? Just contact me to reserve your time, date and space, looking forward to painting with you! Have a custom design hand painted on any item of your choice! This is a great option for those keepsake focal pieces for that special artistic touch! 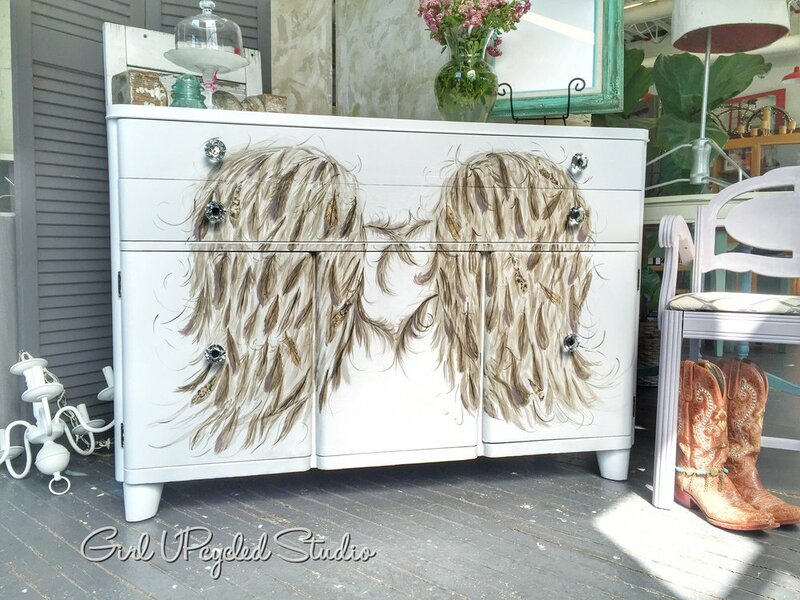 Customize an antique jewelry box, vintage suitcase, piece of furniture or maybe even a set of wine glasses or mason jars for a gift. The possibilities are endless with this option, so let your imagination lead the way! see the link below to see some of the other hand painted items I've recently finished!